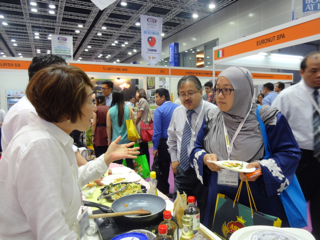 JHA (Japan Halal Association) ran a booth in MIHAS 9-12 April 2014. 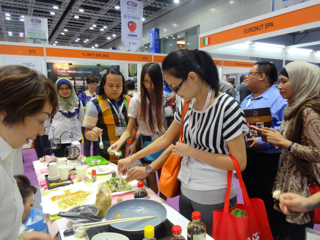 Ms. Aiko Tanaka, who is the famous cooking specialist, cooked and served several halal Japanese foods there. 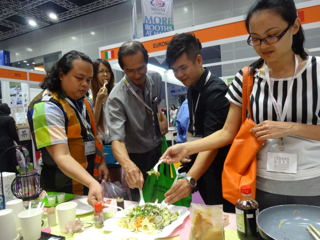 Especially, the grilled chicken with ‘Teriyaki-sauce’ based on soy-sauce were great popular among the visitors. Minister of International trade, the consul and his personal assistant came to see and tried to taste the halal Japanese foods and the halal Japanese green tea.